The versatile OBM-U090 9" 4K HDR LCD Monitor from ikan features a 1920 x 1080 display, HDR support, and HDMI 2.0 input. Multiple 4K/12G-SDI display modes include 12G-SDI single-link, 3G-SDI quad-link square division, and 3G-SDI 4K quad-link two-sample interleave (2SI). The monitor also supports 4K over its HDMI 2.0 input, as well as an SFP optical connector. 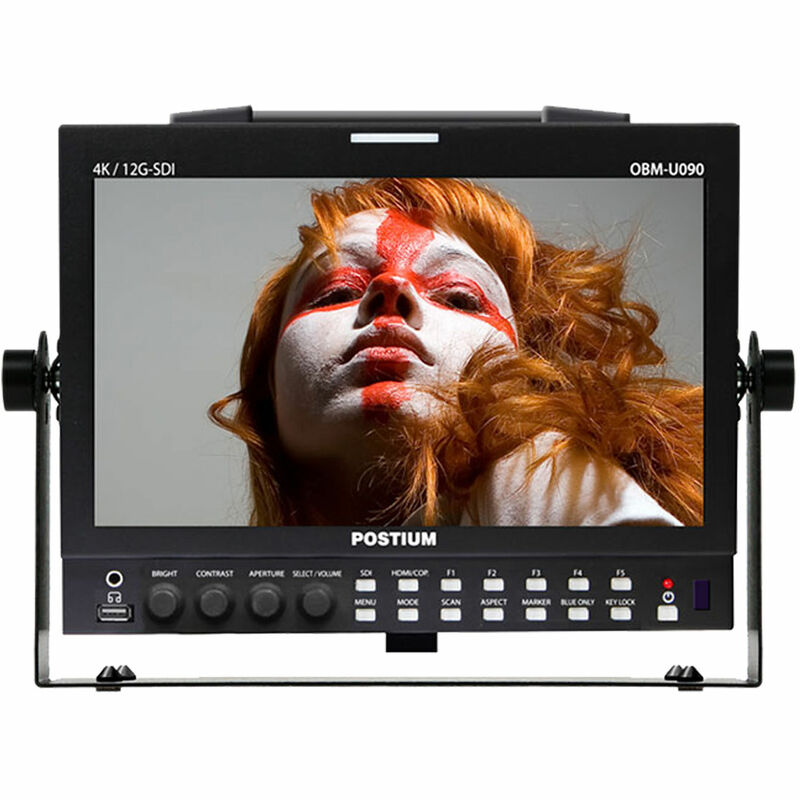 The OBM-U090 monitor supports HDR video with its 10-bit panel, and its display gamma may be adjusted from 1.0 to 3.0. View HDR and SDR versions of your image side-by-side; color space and gamma selections can be compared in the same fashion. The OBM-U090 is compatible with popular camera logs such as Log-C, C-Log, S-Log2, S-Log3, and J-Log1, and can be updated with additional logs. Features of this monitor include custom 3D LUT loading, focus assist, support for wide color gamuts such as DCI P3 and ITU-R BT.2020, and zebra, waveform, and vectorscope functions. A selection of framing guides and adjustable markers enable you to frame for a wide variety of aspect ratios. This professional monitor supports timecode and audio level displays, multiple remote control options, a three-color tally lamp, and closed captioning. Power the OBM-U090 monitor using the included AC power cord, or via an optional 12-volt power source.